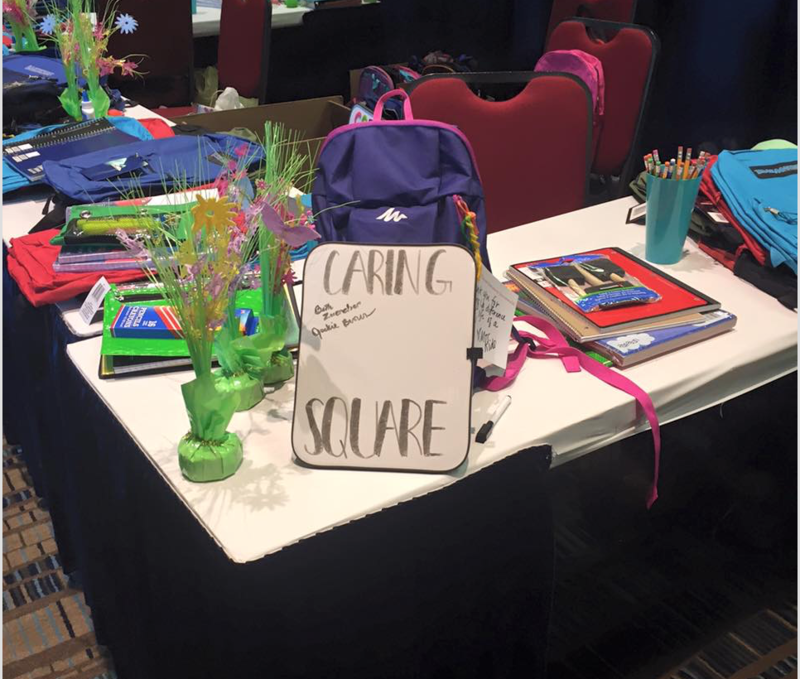 History of SCSHA's "The Caring Square"
While serving in the positions of both President-Elect and Convention Chair 2015-2016, I had an opportunity to attend ASHA’s 2015 Annual Convention. It was at that time that I noticed a huge square located in the middle of the Exhibit Hall. Intrigued by the plethora of activities from attendees building doll houses, to making blankets, I immediately asked the representative “Excuse me, what is this station called and what is it for?” The ASHA representative proceeded to explained that the station was called “THE ASHA CARING SQUARE” the purpose was to offer a community service hub for attendees to participate in a service project. As the 2016 SCSHA Convention Chair/President Elect, I immediately contacted ASHA to request permission to replicate the Service/Community projects during our annual speech and hearing convention. I presented the idea to the members of the SCHSA Executive Board. Once approved, I worked with Heather Smith, SCSHA's Lobbyist, to identify a service need. 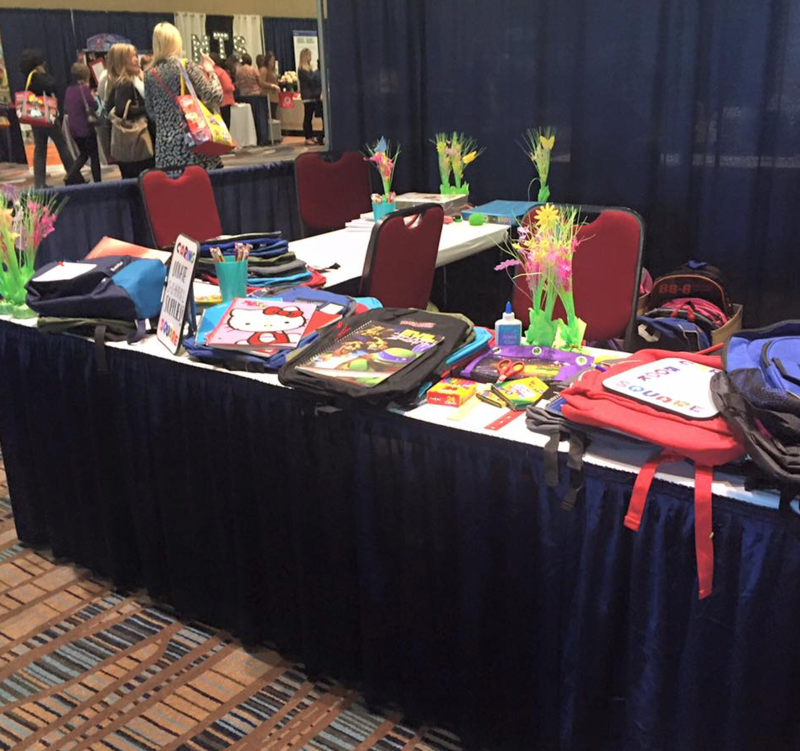 Hence during our convention in February of 2016, SCSHA members supported the first Caring Square by donating book bags for children in Foster Care. Over 300 book bags were donated to Katrina’s Kids! 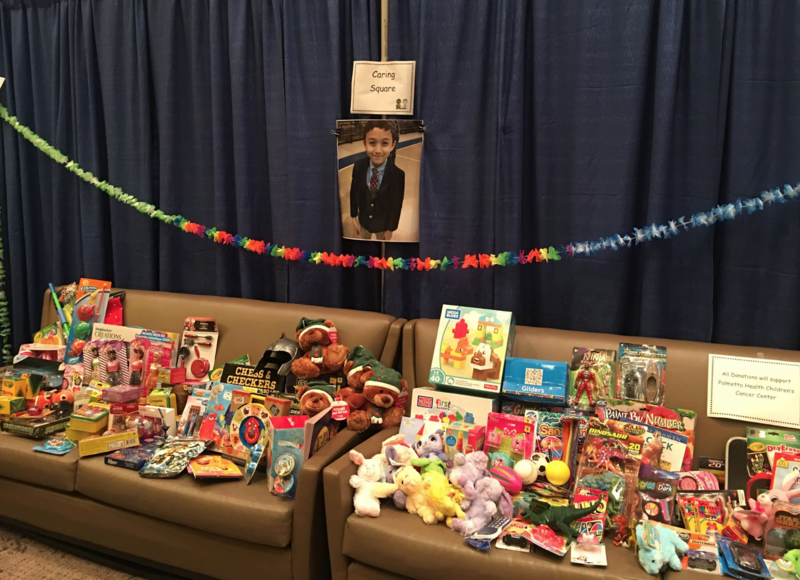 During the 2017 Annual Convention, Mrs. Shirlain Darby and Ms. Claretha Johnson worked diligently to reach SCSHA members as well as members of the community to donate toys for the Palmetto Richland Children’s Center for Cancer and Blood Disorders. Specifically we honored Dax Reed, the son of Lindsay Reed, a Speech Language Pathologist serving in SC Public Schools. During the 2018, Annual Convention, Danielle Varnedoe, worked diligently to encourage donations to support the Filling Station, an initiative started by the late Jacqueline Cindy Clark to provide meals for children in need of healthy, wholesome meals over the weekend. The 2019 Caring Square, "SisterCare", has already been orchestrated! This coming year we are accepting donations to support women and children as they re-establish themselves after surviving domestic abuse. See below for more information on each of projects. I am excited and honored to see that SCSHA has continued with this compassionate initiative and I look forward to seeing all the organizations we will support in the future! Eight years ago at Mellichamp Elementary School, a group of community volunteers led by Heather Bernardo began collecting food to send home with students at the end of the week to ensure they had adequate food and nutrition over the weekend. That program, known as “Into the Mouths of Babes”, recognized that although students eat breakfast and lunch at school, many are not eating anything nutritious (and in some cases anything at all) over the weekend until they return to school on Monday. Over the next several years, three other schools in the district developed similar programs. In March of 2016, a coordinated effort led by Cindy Clark was undertaken to develop a districtwide food pantry program for all of the district’s schools. Joining forces with the volunteers from “Into the Mouths of Babes”, the program became known as the “Filling Station”. 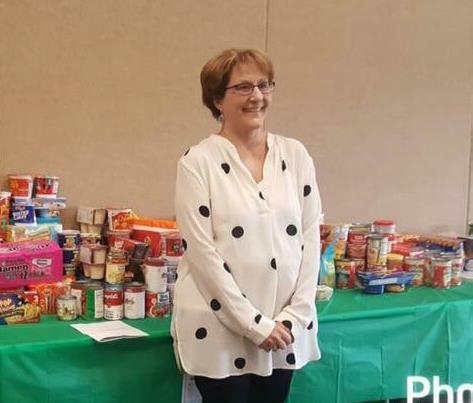 During its first week of existence, a food drive was implemented and donations sufficient to feed fifty-three (53) children over the weekend were received. From that humble beginning, donations and volunteer services to the Filling Station have grown every week and the program now collects and distributes food for the weekend to nearly 1,000 children every Friday. According to data provided by Feeding America, a nationwide network of foodbanks and the nation’s leading domestic hunger-relief charity, 24.2% of the children in Orangeburg County struggle to get enough to eat. Using this data, and based upon the current student enrollment in OCSD5, approximately 1,600 children in our schools do not regularly have access to adequate nutrition and meals. Although the Filling Station is meeting the needs of many students, an unmet demand remains. Donations of food items are received at a warehouse facility located behind the OCSD5 District Office on Ellis Avenue and are packaged for delivery to schools by volunteers every Friday morning. The food items are distributed to needy students every Friday during the school year. Popular food items are those that come in individual serving sizes and include single servings of fruit in light syrup, whole grain cereal/granola bars, individual cereal boxes, and canned food with protein like spaghetti and meatballs or ravioli. The Filling Station is 100% supported by donations and volunteers. Any individuals or organizations desiring to donate food, volunteer their time, or make monetary donations are encouraged to contact Dr. Jacqueline Inabinette at 533-7948 or [email protected] . It was our honor to be a part of SCSHA's 2017 Caring Square which brought attention to the Palmetto Health Children's Center for Hematology/Oncology by hosting a toy drive. Our son, Dax, was diagnosed with Nodular Lymphocyte Predominant Hodgkin Lymphoma in 2016. During his chemotherapy treatments, Dax would accrue points for each surgery, procedure, port access, blood drawn and other various elements of cancer treatment patients must endure. He would then take those points and exchange them for toys/treats in the Children's cancer center treasure closet. SCSHA contacted us with interest in Dax's story and immediately we thought, how could we give back to the cancer center? The toy drive was tremendous and provided the cancer center with a variety of treats for all ages of children. There are no words that can express the level of gratitude we have for the generous SCSHA community and the SCSHA Caring Square event for contributing to the children's cancer center. These children must endure that which is difficult for adults. Dax says that while he was going through this tough time, little things, like getting an iTunes gift card, after all day chemo, took his mind off of the pain and stress of the situation. Thankfully, this coming August, he will be two years into his remission. He was thrilled to be able to work with the SCSHA Caring Square and SCSHA members to help in the process of giving that experience to other children and our family will never forget it. If anyone would like to continue to contribute to this cause in any way, contact the Palmetto Health Children's Hospital Center for Cancer and Blood Disorders at 803-434-3533. We chose Katrina’s Kids for our first caring square because we saw a population in SC that didn’t have a voice and that is the thousands of children in South Carolina’s Foster Care system. Through the Caring Square we collected book bags and school supplies for children in foster care. We also added a little note letting them know that they are heard and that they matter! 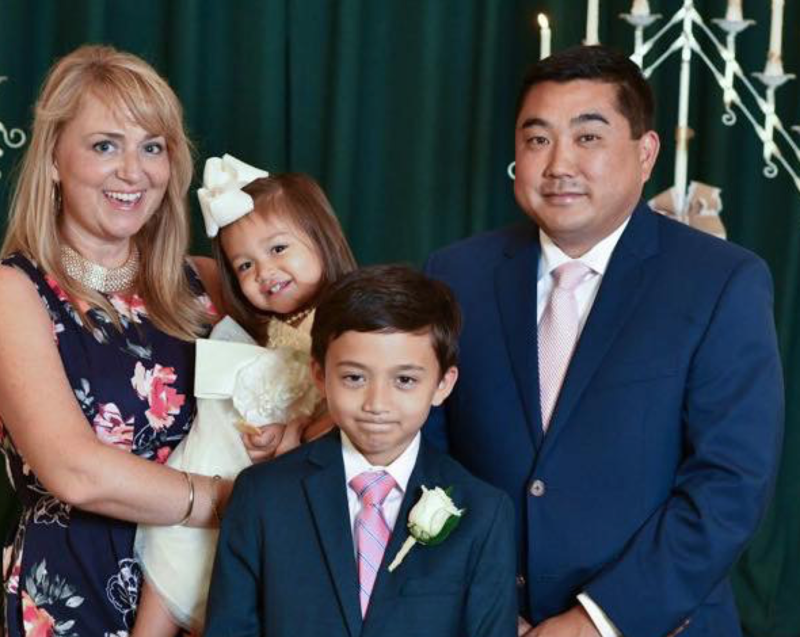 Katrina’s Kids is a 501(c)3 nonprofit organization that is the brainchild of State Senator Katrina Shealy, who has spent the last several years fighting for the children of South Carolina. Sen. Shealy has seen for herself that many kids “in the system” don’t have the same advantages as other kids, particularly when it comes to the “extra stuff” that kids love to do—and benefit from. Arts, athletics, camps and clubs are often called extra-curricular or after-school activities. As kids, we think we’re just learning to tie a knot in scouts, play a musical instrument, or how to pitch a baseball. But here’s what’s really happening: kids that participate in these activities become better students, stay in school, graduate and are more likely to go on to college. They make friends with people they like … and even learn to deal with those they don’t. They gain confidence in themselves and their abilities and develop into well-rounded young adults with bright futures ahead of them. Many children in South Carolina don’t get that chance … particularly if they are in foster care or group homes. Budgets are usually tight for these families or organizations. The costs for registration fees or dues, uniforms, athletic equipment or musical instruments quickly add up. Access to reliable transportation may be limited because these activities take place outside of the normal school day or during the summer. Kids in foster care or groups homes can get left out of the very activities they desperately need. No matter how strong a foster family or children's home may be, being in foster care puts a child at a disadvantage. Foster kids are more likely to have lower grades in school and more behavioral issues. They are less likely to graduate or go on to college. They struggle to develop interpersonal skills and their own self-worth. The Mission of Katrina's Kids is to provide resources for foster children and children living in group homes to have the opportunity to take part in activities that build confidence, strengthen character and teach valuable social and communication skills. We ask for your support in our mission. We ask you to help us provide every chance for every child.